Welcome to the new CISC blog! We hope you enjoy the new look, new focus and new ideas our writers are bringing to the table. The idea behind the blog is to explore the many definitions of sustainability, and the cross-disciplinary connections that are embedded within the term. The views expressed in this blog are those of the author and do not necessarily reflect those of the Institute for Sustainable Cities, Hunter College, the City University of New York, or any affiliated organizations. Mr. Brady graduated from Hunter College in 2009 with a BA in Geography. He joined the Institute in 2008 as a research assistant to the CUNY-wide Sustainability Curriculum Assessment and Recommendation Project. His work has since focused on researching climate protection levels and developing recommendations for climate change adaptation strategies for the New York City Panel on Climate Change (NPCC). During the Summer of 2008, Mike worked as a research intern for the Katrina Project at Brown University. Prior to attending college, he served as a Marine Science Technician in the United States Coast Guard. For two years he was the Ballast Water Management Program outreach coordinator for the Port of New York, an initiative to prevent the introduction of nonindigenous aquatic nuisance species via ships’ ballast water. 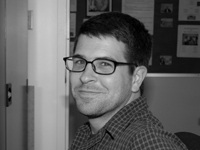 His research interests include complexity science, scale mismatches, and urban resilience. Alex Hanson is the Internship Coordinator at the Institute, as well as a graduate student in Hunter’s urban planning program with a concentration in food systems. She likes all things food related including cooking, eating, learning and writing about food. She sees food as a nexus for many seemingly disparate social, economic and environmental issues, and thoroughly enjoys exploring these connections with you through the CISC blog. 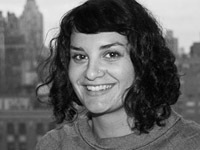 Carina Molnar works as the Outreach Coordinator at the Institute and serves as editor of the blog. 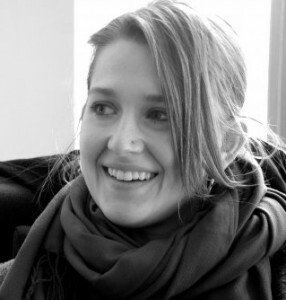 She covers issues on climate science communication, ecosystem services and occasionally blogs about the NYC Digital Environmental Atlas project. She also helps plan events that you should come to.